A penchant for the mercurial and the brave. Charles is that ‘rampageous’ advertising and communications professional with experience gained across 3 continents within international corporate frameworks at BBDO, JWT and Saatchi & Saatchi. The ‘luck’ to have worked on many iconic brands alongside very talented people. Acquiring a knack for crafting integrated campaign solutions across ATL, BTL & Online. A self-confessed Brand Positioning and Brand engagement ‘tragic’. 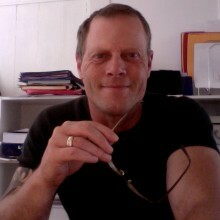 Charles intuitively combines his strong creative background with sound strategy, business and management capabilities.